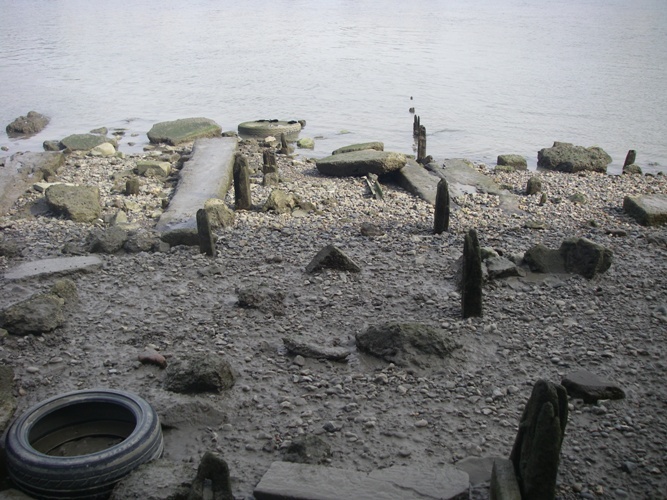 On Wednesday 17th March Gustav and I visited the foreshore at Deptford. This is an area of foreshore which has been little visited in the past and so, needless to say, we were somewhat staggered by the volume of archaeology we encountered. Immediately in front of us were the remains of a causeway which was clearly later than a gridiron formed of possible ships’ timbers. 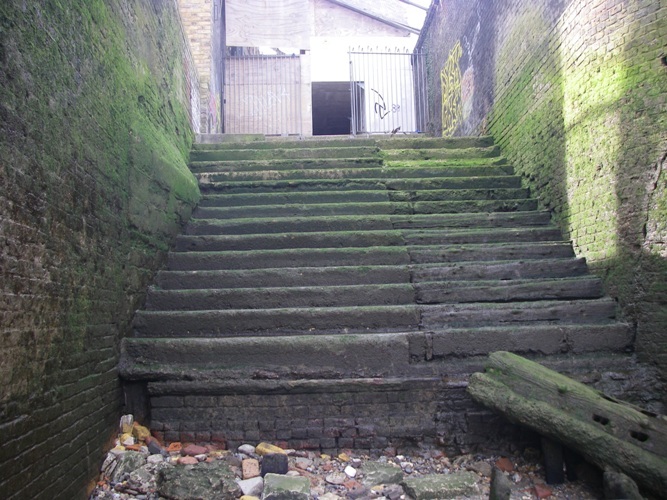 While across the river we could just make out parts of the Great Eastern launch site slipway. We turned downstream and noted the remains of two revetments at right angles to the causeway; one lower down than the gridiron, the other roughly level with its base. 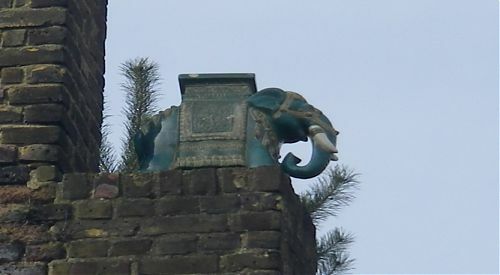 As we continued, another gridiron was noted before two dilapidated dolphins hove into view along with evidence of both timber and masonry precursors. A strange timber structure was seen; possibly the foot of a causeway, it appears to have been wider towards the top of the foreshore than at its end. The large timber appeared to have been dressed for only part of its length. Further revetments, in at least two phases, were then encountered retaining chalk barge beds beneath the river wall. Nearing the mouth of Deptford Creek we encountered a great deal of metalworking slag, before, right at the mouth of the creek, we came across the sad sight of a hulked and half- buried metal barge or lighter, looking for all the world like an exploded skip. Discretion being the better part of valour, we chose not to wade through the inviting sludge of the Creek and retraced our steps back to the causeway, before proceeding to explore upstream. Just west of the initial wooden causeway remains we encountered a very nice ashlar causeway which had been constructed of re-used masonry blocks. We then discovered two adjacent structures beneath a modern jetty, one of which was clearly constructed of warship timbers. 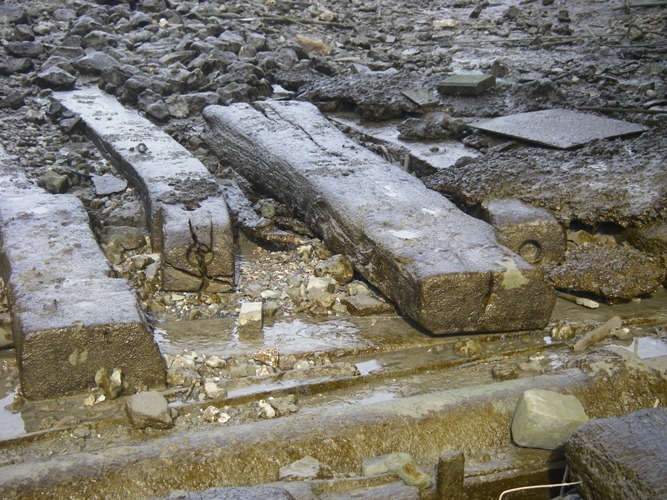 Putting our heads together, along with much chin-stroking and movement of the facial muscles, we decided that these were either the lower frames of a second rate ship of the line or the upper frames of a first rate; the joints were remarkably similar to those recorded on the Duke of Wellington timbers at Charlton, therefore probably suggesting a 19th century vessel. As we continued upstream we passed an infilled dock entrance with caution, before noting another possible timber gridiron structure, more possible infilled dock entrances and another timber revetment. The tide was now starting to come in, so we were unable to reach a prominent masonry river stair and turned back. Before we scrambled back up our unsuitable access point we had time to take a picture of a statue of an elephant sitting high and proud on the river wall. All in all, a most satisfactory initial visit to a wonderful stretch of foreshore. I think we may be coming back!